A life celebrated is a life remembered. 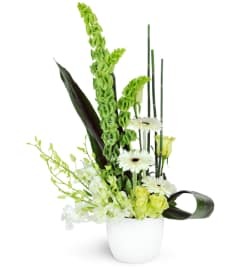 This uplifting and comforting floral sympathy spray is a gorgeous way to convey your condolences to friends and family. 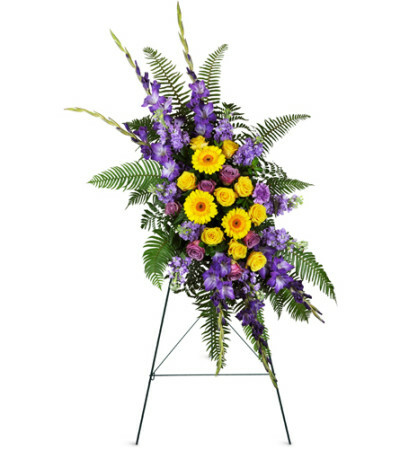 Yellow Gerbera daisies and yellow roses are as bright as heavenly light and combine beautifully with dusky purple gladiolus, lavender roses, and more. 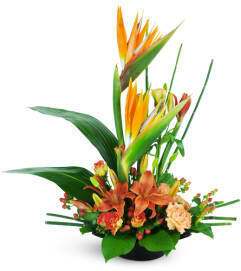 This stunningly beautiful floral gift shows your good taste and conveys your sentiments impressively. Yellow Gerbera daisies, yellow roses, purple gladiolus, lavender roses, purple carnations, stock, and sword fern are sweetly arranged in a classic funeral spray design, perfect for any service or wake. She absolutely loved the flowers that I got her. This was the second time I send her flowers from here and both times the bouquets were of amazing quality. I highly recommend this florist for any occasion. 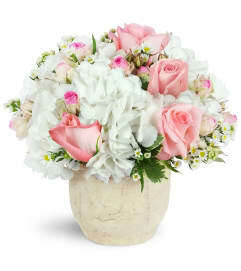 Matles Florist is a Lovingly Florist in NYC. Buying local matters. Discover how Lovingly supports local florists. Copyrighted images herein are used with permission by Matles Florist.